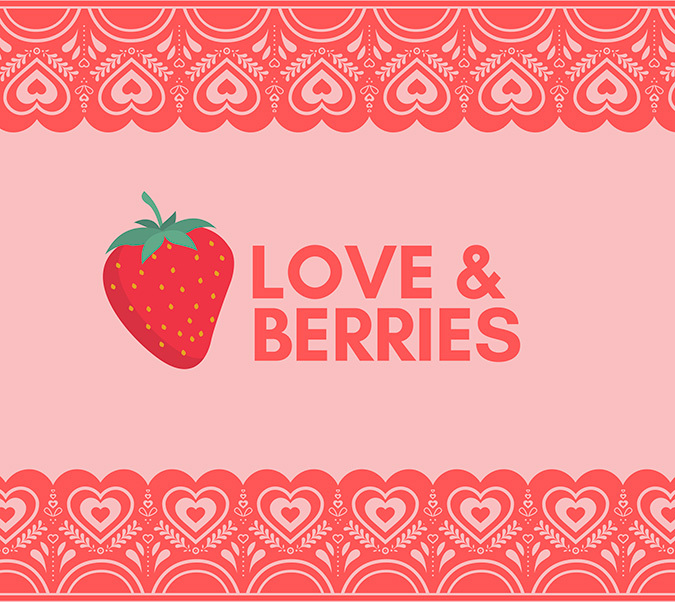 It’s no secret that strawberries have a history of being perceived as a romantic food. Not only do they pair well with chocolate, champagne, and other stereotypically love-centric items, they have the natural color and shape of the most famous romantic symbol of all: the heart. You don’t have to take our word for it. Just watch Kaylee from Firefly enjoying a single strawberry or listen to Edward Lewis teaching Vivian Ward about what fruit pairs best with champagne. 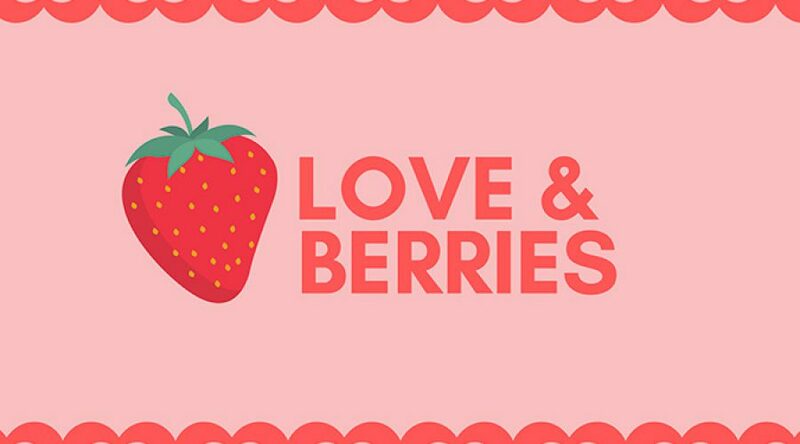 Hollywood gets it: strawberries are a natural stop on the road to romance. In honor of Valentine’s Day, here are some strawberry recipes you can try out on your significant other, or for the person you hope might someday wear that title. These desserts are likely to get a positive response whether you’re trying to express affection for the love of your life or just trying to get that first kiss. Looking for way to spoil your loved one from the very moment they wake up? 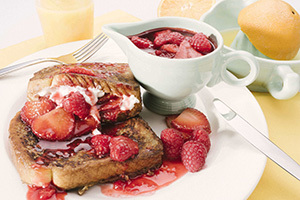 This Stuffed French Toast with Berry Compote recipe is a perfect breakfast in bed treat. Bonus: lots of the prep steps are easy enough for the kiddos to help make, too. Strawberries and Champagne are arguably the most classic romantic food-and-drink combo out there. This recipe from The Cookie Rookie blends the two to create a delicious soup that can be served hot or cold. 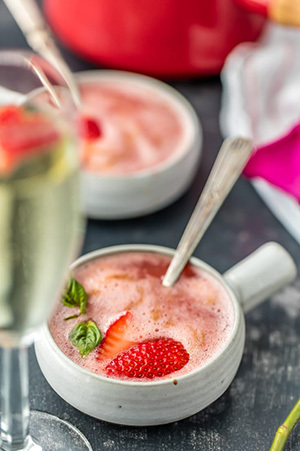 If champagne is not your thing, we’ve got a great strawberry gazpacho recipe worth trying, too. This recipe basically just requires mixing and scooping, but the end result will look as though you spent your whole day preparing it. Get creative with your garnish- use fresh mint and a cookie, valentine’s themed sprinkles, or slice up a strawberry to look like a rose. 1) Rinse all berries, then slice strawberries. Mix together. 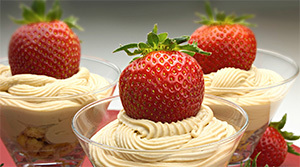 2) In a separate bowl, mix together mascarpone cream, sugar, and Hennessey to taste. 3) Using a martini glass, alternate layers of the berry mixture and the cream mixture. 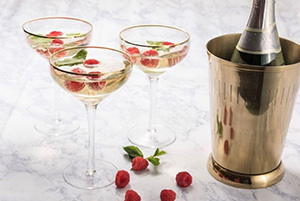 Our Raspberry Champagne Mojitos can take your favorite champagne to a whole new level. Make a batch of these babies (super easy), pour them into a pair of your fanciest glasses, hand one to the person who completes you, and clink their glass while giving a private toast in their honor. You’ll look like the Best Valentine Ever, in their eyes. 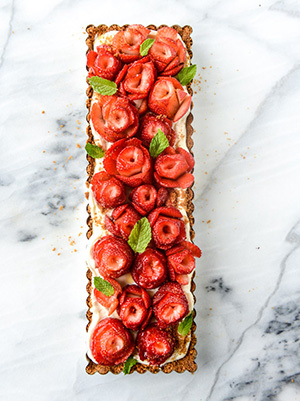 This Strawberry Rose Tart is, as Jessica at How Sweet Eats says, “almost too pretty to eat”. Pretty amazing for a dish that only takes five ingredients. For even more strawberry love (we don’t know about you, but we can never quite get enough of them), cozy up on the couch this Valentine’s Day to watch 9 ½ Weeks or Across the Universe. Both movies feature strawberries in cameo roles. Or, if you need to cut date night short because of the little ones, an adorable animated strawberry pops up in Cloudy With A Chance of Meatballs 2. Ingmar Bergman’s Seventh Seal and Wild Strawberries are good choices for you cinephiles out there. Both films are more about meditation on life and death than on romance, but in some ways aren’t life and death just different types of love? There’s a conversation topic for those of you on those awkward first dates! Maybe? Maybe not. Regardless of your relationship status or movie preferences, we here at Well•Pict hope you have a wonderful Valentine’s Day and enjoy this month of Love!